18/4 Updates: Taking standbys for the first session, second session (28/7-2/8) now open for booking. *More importantly, Zeiss have updated me on lenses – the really good news is we will get the 1.4/55 and 1.4/85 Otuses in Nikon and Canon mounts, along with the 2/135 APO and 2/28 Hollywood Distagon… 🙂 The Cinematic Photography Masterclass, in collaboration with Zeiss Hanoi, Vietnam Dates: 21-26 July 2015 inclusive (session 1) and 28 July – 2 August 2015 inclusive (session 2). Note: this is not focused on video, though similar fundamental principles apply. This article covers an explanation of cinematic photography in more detail. Tuition cost: US$2,200 for workshop only, $2,500 special bundle including Outstanding Images Ep. 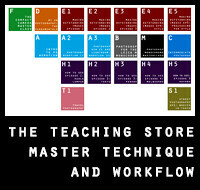 1-5 and Intro to PS Workflow (required, but most participants usually have some or all of these already – the bundle can be altered accordingly.) There is also a special price for previous workshop attendees – please send me an email if you’re interested. Days 2, 3, 4, 5: Individual participant intensive sessions and daily review. Most photography will be done earlier in the day or late afternoon/evening. Participants will need to have a large sensor mirrorless or DSLR camera, fast prime lenses (even a 50/1.4 on a DX body is perfectly adequate) and a laptop to post process on. Nikon or Canon mounts are best since Zeiss has also generously agreed to loan us some suitable lenses for the Masterclass in those mounts, too. Manual focus fast primes are also excellent (even older glass via adaptors such as the Nikon AI 105/1.8) especially if paired with an EVF, waist level LCD or LCD magnifier*. A tripod is also useful so you can set up shots and work with a little motion blur, such as in the Venetian Cinematics. *The Zacuto Z-Finder Pro or Kinotehnik LCDVF are both good options. For travel planning purposes, it’s preferable to arrive a day earlier and leave the day after (or extend a bit to see the greater area) as we will have our usual opening/ closing dinners. It also makes sense to stay at the same hotel for easy meeting logistics and frequent feedback; this has worked very well in the past for participants at previous workshops. I am planning to stay at most probably the Movenpick or the Sofitel Metropole, which are both ideally located for easy access to many historical districts in Hanoi and will update participants in due course. This will be the fifth masterclass following Havana, San Francisco, Venice and Prague. Each masterclass has been fully subscribed and every time it gets even better; clicking on those links will take you to the previous reports, participant thoughts and more importantly, the work produced during the sessions. I’m continuing to refine the masterclass format to even further improve the balance between focusing on the individual development needs of the participants, whilst allowing space for creative experimentation. What I like about this structure is that it allows for students to be inspired by each other – photography is after all highly subjective – as well as operate at the level that works best for them. And you can do it multiple times because the syllabus is tailored to your individual needs. There is also an excellent and detailed report from one of my Havana participants, Michael Letchford, here. To book a place for one of the Masterclasses, or for more information, please send me an email. This session is limited to just 8 participants. I am looking forward to shooting with you! Selected testimonials from previous Masterclass participants follow. Alex Ohta (Making Outstanding Images Chicago) – It’s been a couple days since we wrapped up the Making Outstanding Images workshop, and I’ve been reflecting on my experiences. I’ve wanted to attend one of these workshops for a while. Scheduling didn’t work for 2013, so I resigned myself to wait until a 2014 US workshop opened up. In the interim I read everything. And then I started downloading videos. I recommend watching and even practicing the concepts (including post processing) prior to attending the workshop, doing so makes the in person experience hugely rewarding. The syllabus is well thought out. Despite starting with the basics, things ramp up very quickly. Each lesson layers over the previous, and by the end of day one all the core concepts were covered. Day two was a stretch for me – not only were we trying to abide by the lessons from day one, but we were also trying to apply stylistic choices. I personally found the group critique and post processing sessions on the final day to be invaluable. The most liberating part of the whole experience is that I no longer feel frustrated with my output. I find myself just wanting to shoot – subject doesn’t matter, the more diverse and challenging the better. I’ve also got a road map for growth for the next six to twelve months. Thanks Ming & fellow classmates for a great couple days. I’m eagerly awaiting a 2015 masterclass schedule. Dan Tamarkin (Making Outstanding Images Chicago) – An exceptional workshop in the qualities that make an image outstanding and the process of creating them. Personalized and immediate, this workshop is invaluable instruction, and Ming Thien’s direct instruction and constructive feedback are as useful as the atmosphere is positive and nurturing. Highly recommended – a joy to participate in. 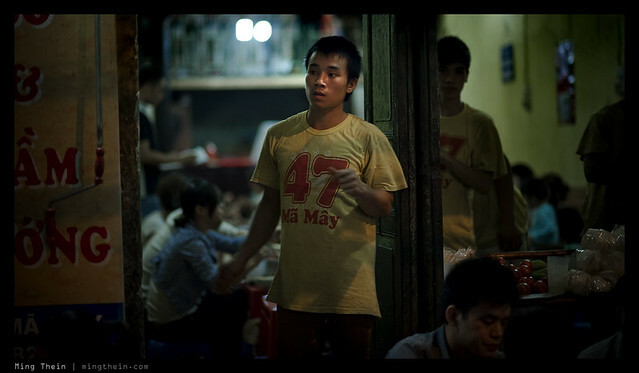 Steve Child (Making Outstanding Images Chicago) – Ming’s teaching style is methodical and easy to understand. 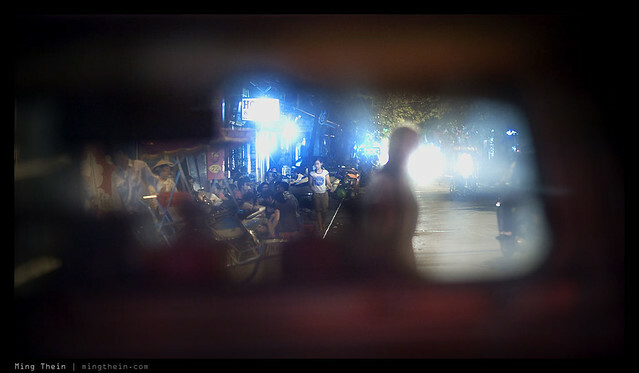 After the first day I began to see in an entirely new way and it was reflected in my photographs. An amazing experience! David Kimmel (Making Outstanding Images Chicago) – The recent ‘Making Outstanding Images’ class in Chicago was a truly amazing experience made so entirely by Ming’s outstanding skills as an instructor. The course quickly identifies the elements lacking from your images but it also raises your awareness of the things that you are doing on pure intuititon. Only when we are fully conscious of the elements that make strong images, can our photography improve. This is accomplished primarily through Ming’s ability to quantify the many elements found in strong images and describe them in an approachable way that only a truly experienced photographer with the gift of exposition could. The course is extremely challenging forcing you to face your shortcomings while enhancing your strengths. Ming shares openly from his vast experience in virtually all areas of photography without a sense that anything is held back. His energy seems boundless and his enthusiam is infectious inspiring you to shake off the despair you might feel from seeing dozens of duds on your memory cards and forge ahead to create the images you have always wanted to make. The course does indeed teach you How To See, a skill that will last a lifetime of shooting. The Hanoi Cinematic Masterclass (21-26 July inclusive) is now open for registration – click here to book and for more information. I’ve followed your blog for a few years now, but I feel like I have to ask: why would you call this class ‘Cinematic Photography’? And how are you defining ‘cinematic’? If cinema is the art of moving pictures, and photography still pictures, isn’t classifying images with what’s understood to be the ‘cinema look’ a bit redundant? Creating a ‘cinematic’ image is completely independent of the movement of a camera, or things and people in front of it, through space in this way. The role of the crew person in charge of how the film will look is called the ‘director of photography’ after all. The modern (i.e. digital) way of shooting films has created a standardized palate among most movies, and even TV shows: strong central colors in the shadows and highlights (usually blue and orange respectively), shallow depth of field for aesthetic sake, and a tendency to shoot close ups to emphasize dialogue. Computer editing and incredible lenses have made, perhaps the first time since black and white film, a truly uniform way in which we expect cinema to look compared to photos. Is it within these current bounds of film fashion that ‘cinema’ is being defined? With all due respect, my intention with these questions is more academic than critical and I’m looking forward to your thoughts. No, it has nothing to do with film fashion or hipsters or passing fads. I’ve been shooting this way for years, and I explain it here. Wow, I’d love to attend this, but unfortunately I have no idea what I’ll be doing in July and whether it would be possible. Also I suspect I need more time to get the basics down first… but I hope this is a success so you run more workshops in Asia in 2016 – I’ll be ready then, for sure! And the partnership with Zeiss is a really excellent idea, should work well for all parties. Thank you. Start with Making Outstanding Images Ep. 1-5, and you’ll be good to go 🙂 If this goes well, I’ll consider an additional session either in Hanoi or Tokyo in late November. Yes, I’ve got episodes 1-5 and I’m working my way through them! A lot to digest, but it’s definitely helping, certainly more use than spending money upgrading equipment! This look like a great series to teach, Ming. And the location should lend itself to lots of rich tapestries, color, and patina … with plenty of human subjects in betwixt and in between. 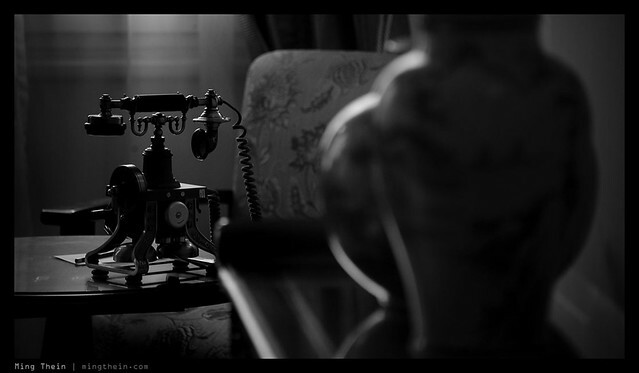 btw: I love the cinematography of Winton Hoch. If you ever get the chance, check out ‘The Searchers’ on Blu-ray, a classic ’50s Western starring John Wayne with breathtaking cinematography shot in VistaVision and Technicolor. The Monument Valley shots in particular are gorgeous. Type “The Searchers cinematography” into a Google image search and see what comes back. Excellent! It’s a popular choice, then. Glad to see another Vancouverite on here. 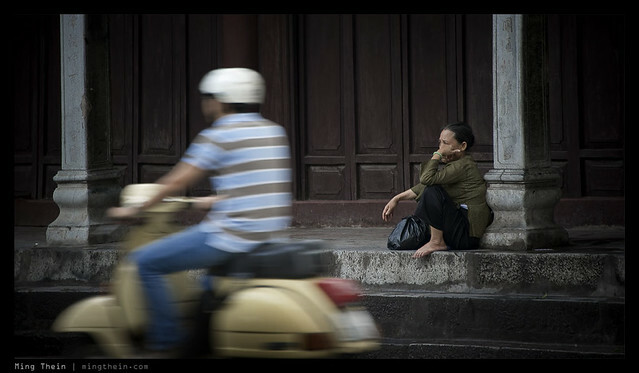 I LOVE Ha Noi! You’re going to have an amazing time. You’ll fill multiple SD cards as you wander among the 36 Streets. July… bring LOTS of bottled water!